Even though it was a Sunday the pub crawl had more than thirty people on it.Â They took us to five different pubs and a disco.Â We had tons of fun meeting people from all over the world.Â Even on a Sunday night the pubs in Berlin were busy.Â The next day we woke up and went on a walking tour of the city.Â Berlin is a beautiful city.Â Most of the buildings are new and that is shown through the architecture.Â Our tour began with our tour guide showing us the hotel where Michael Jackson dangled his baby over the balcony.Â We then continued on to the Jewish Memorial.Â That was one of the most moving pieces of art I have ever seen.Â It was interactive and you could walk through it.Â We then saw the location where the bunker in which Hitler committed suicide had been.Â It rained for most of the tour so the tour guide gave us the quick story.Â A very interesting thing that I learned was that the Berlin Wall was not straight; it wiggles throughout the city.Â There are gold bricks in the streets to remind everyone where the wall had been.Â Our tour ended with the tour guide telling us his very elaborate story of how the Wall â€œactuallyâ€ fell.Â We then went home with a new picture of what was going on in the world at that time. 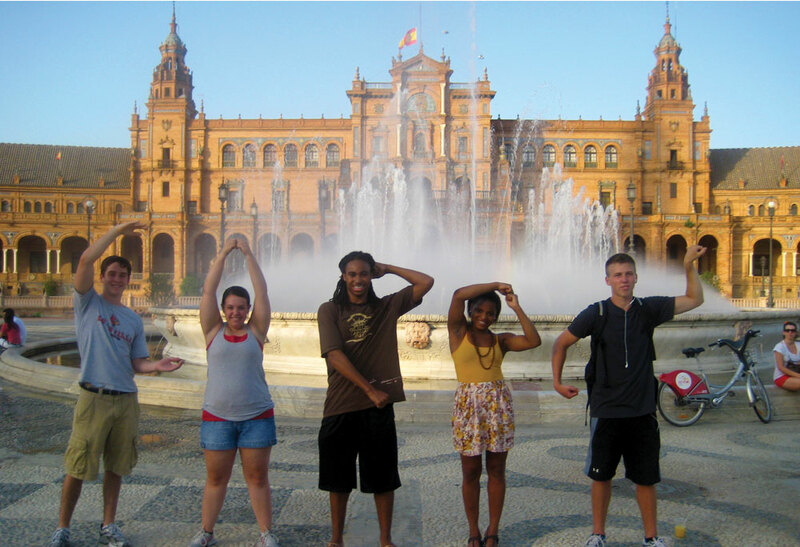 This entry was posted in Study Abroad by Jessica Smith. Bookmark the permalink.